Exergy is the useful portion of energy that allows us to do work and perform energy services. 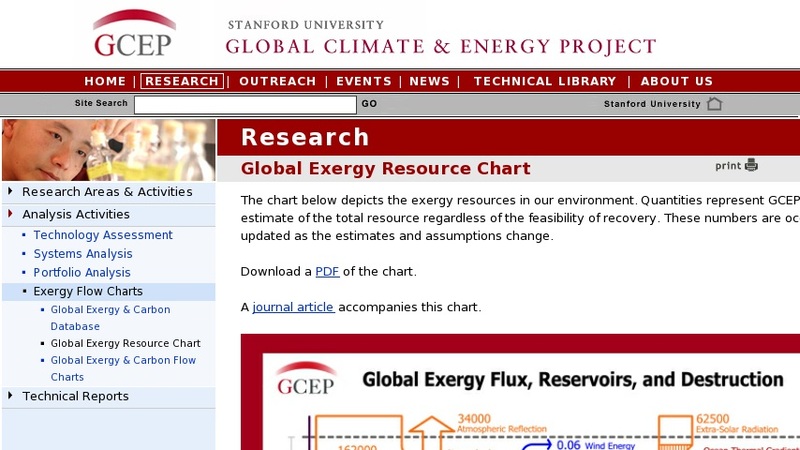 This chart, from Stanford University, depicts the exergy resources in our environment. Quantities represent GCEP's best estimate of the total resource regardless of the feasibility of recovery. These numbers are occasionally updated as the estimates and assumptions change. The chart is downloadable and the page includes a link to a journal article related to the chart.